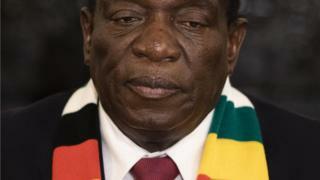 The inauguration of Zimbabwe President Emmerson Mnangagwa has been postponed after the opposition launched a legal challenge against the election result. “The inauguration is no longer going ahead [on Sunday] as planned,” Justice Minister Ziyambi Ziyambi said, after the opposition filed the challenge on Friday. The Constitutional Court will have 14 days to rule on the MDC Alliances’s legal challenge. But the MDC Alliance say the security forces have launched a brutal crackdown on the opposition following the disputed poll.